Google’s Chrome Experiments is a playground for coders to design something creative with open web standards. This week Google rolled out Experiment #1000, a playful number “1000” with interactive bubbles. Here are 20 of the most fun Experiments to date. Old-fashioned Pong, but with a twist. Play it with pop up windows! This is the Experiment for audiophiles; in Plink, random users are connected to make music. Even someone with limited music-making skills can join in on this jam sesh, and the results are surprisingly listenable. This is Mavis Beacon for the Space Invaders crowd. Type quickly to destroy the enemy. Ever wanted to make a dinosaur-moose hybrid? Slice up various creatures and play Dr. Frankenstein in this Experiment. In this Pottermore-like Experiment, users can follow the journey of one of the members of the Fellowship, join a battle on either side, or explore locations like Rivendell and The Lonely Mountain. Avoid the cubes as a rolling ball, but pick up little cubes for special powers. Create abstract particle art with this Chrome Experiment by Robert Oram. 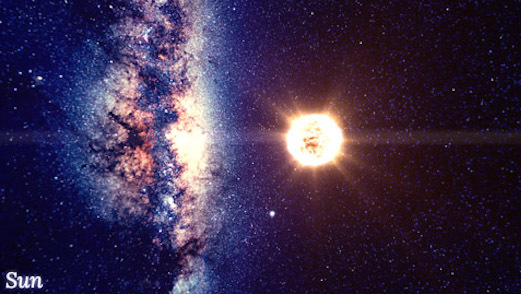 This scale model of the surrounding stars lets users zoom in and out, and flip the universe on its head — but, of course, there’s no up or down in space, as this stellar Experiment demonstrates. The tagline is “Possibly More Cool Than You Think It Will Be,” and yeah, that’s pretty accurate. Open a bunch of windows and bounce a ball through them all! Doodle with nine brushes and two shapes designed to give the computer screen some texture. Defy physics in this ball-in-water simulator; toggle gravity on and off, change perspectives and make the water shimmer with the click of a mouse. Cause a chain reaction by capturing the floating dots in one click; if a dot touches one you’ve already expanded, it’s added to your score. Connect the popups with a rolling dot in this series of minimalist games. Start off as a small dot and get larger by eating smaller dots. Avoid the bigger circles. Simple and addicting. An interactive, animated film featuring the music of Danger Mouse, Daniele Luppi and Norah Jones. Some people just want to watch the world burn. Wreck Google’s homepage by flinging it across the screen, as the physics mimic gravity in space. Destroy the peaceful woodland scene playing in this video by blowing it up into hundreds of squares. If you ever want to pretend it’s 1996 and you’re on your hot new computer, this is the emulator for you. Fully interactive, with lots of hidden gems. The thousandth Experiment is an ode to the 999 that preceded it; each bubble takes the user to another project.